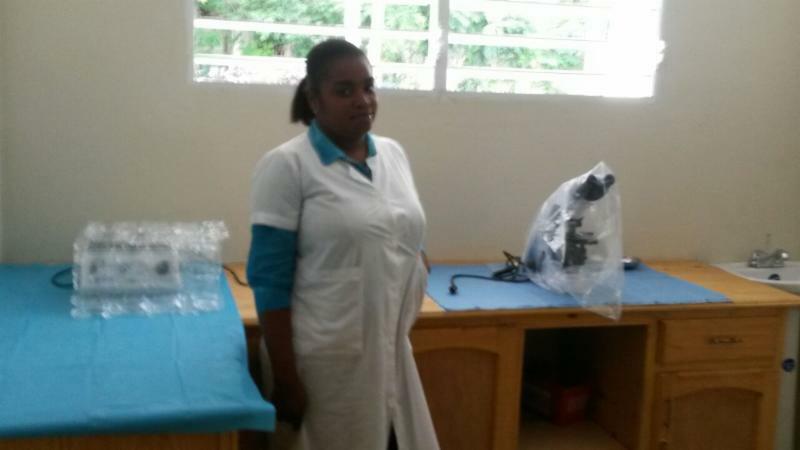 On September 4, the new 14 room medical clinic welcomed its first patients – the culmination of a 12 year effort to bring primary medical care to Sassier, a poor community in the mountains of southwest Haiti. The Clinic’s first patient was a young boy who suffered severe burns after falling into a cooking fire while playing. Without the care provided by the Clinic’s medical team, this young boy’s chances of survival would have been low. Infection sets in quickly and would probably have overwhelmed the boy’s immune system. Without the Clinic, the only comparable care would have been in the Hospital eight miles away – which may as well be on the moon. The parents had no way to transport the boy. They had no money to pay for medicines and supplies at the hospital. 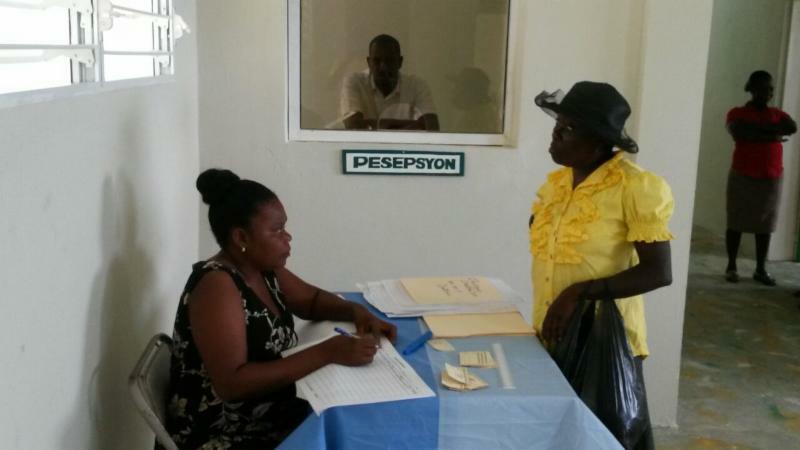 “Now my grandchildren will be able to see a doctor when they are sick; before we had to walk 8 miles to the city and wait for hours at the Hospital,” Mrs. Duval added. The Clinic transforms healthcare for everyone in the Sassier area. Patients with high blood pressure and diabetes will no longer have to travel 8 miles – mostly by foot – to receive needed care. Parents will bring their children for well-baby care and standard vaccinations, with their journeys counted in minutes, not hours. Emergency care for wounds and burns will also be available. And, the nearly 1,000 school students in the Sassier area will have medical care close at hand, every school day. Preventive care will be emphasized, particularly for women and children. The journey to the Clinic opening began in 1999, when Sacred Heart Parish in Winnetka became the twin parish of St. Jean Baptiste parish in Sassier. The collaboration between both parishes formed the foundation for the extraordinary advances in education and health care over the past fifteen years. 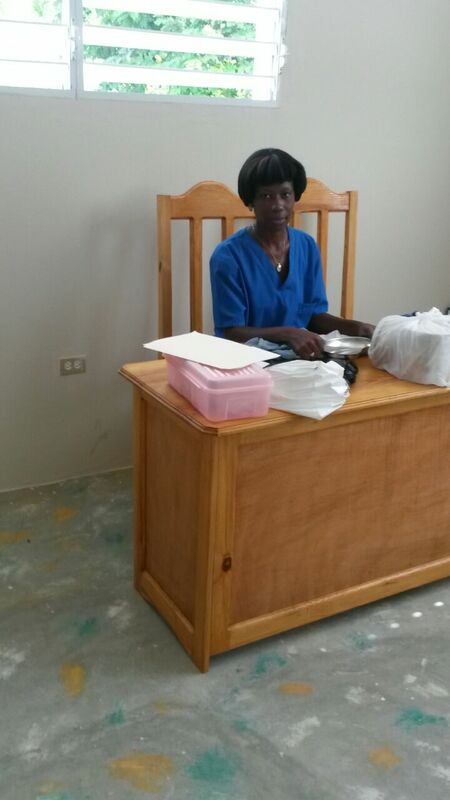 With Sacred Heart’s help, a small dispensary with a nurse was established in Sassier in 2004. While a great advance over no health care, it was clear that real Medical Clinic was needed to meet the basic health care needs of this remote and very poor area. In Haiti, people die from conditions we solve by a trip to Walgreen’s. After many years of planning, Zanmi Sasye finally secured from generous donors and construction began in November 2014. Yet even full funding wasn’t enough. Construction was halted for months in 2015 as Sassier suffered through the third year of drought. Not until the rains returned in November 2015 could construction resume. Since Sassier has no public water supply, we just had to wait until the rains returned. While it is unlikely that most days will be as momentous as Day 1, people in Sassier are happy to know that good primary healthcare is close by, and accessible to all. 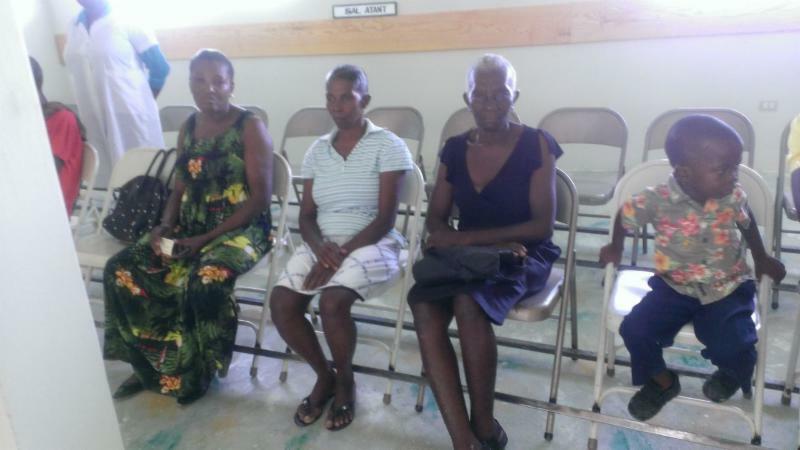 Patients waiting to be seen at the clinic. The clinic is fully staffed with a doctor, nurse, lab and pharmacy.